Sedalia, Colorado, USA – March 10, 2015 – The North American Trail Ride Conference (NATRCTM) will be holding its second annual trail ride competition April 10-12, 2015 at the Sand Hills State Park in Kansas. The event will be held to increase awareness about NATRC and the new equine camping facilities at Sand Hills State Park. A competitive trail ride (CTR) is a competitive trail event over a measured distance and completed within a window of time. The judging begins at the preliminary examination, usually the day before the ride, continues during the ride, and concludes at the final examination one or two days later. 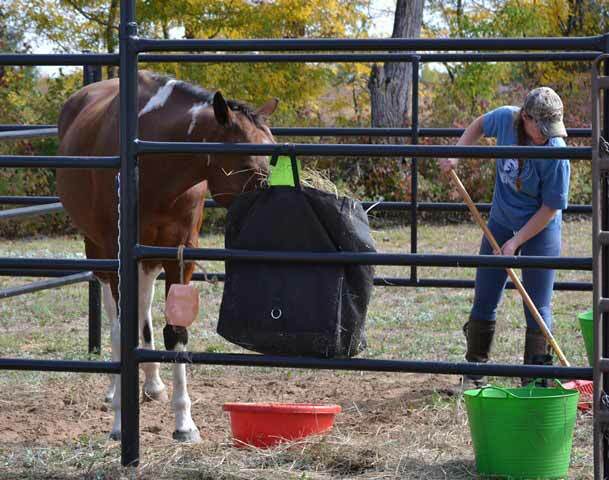 The equines (horses, ponies, and mules) are evaluated on condition, soundness and trail manners. Riders are judged on horsemanship as it applies to trail riding and caring for a horse naturally (without drugs or artificial appliances) during and after a day on the trail. The emphasis is on education, safety and sportsmanship in a fun, family-oriented environment. The novice and competitive pleasure (CP) classes compete about 16 miles per day which is about 4-5 hours of riding at an average pace of roughly 4 mph. The open classes ride about 27 miles per day at an average pace of around 5 mph. The management team has gone all out to make Exploring Sand Hills a great introductory ride. Anyone age 10 or older is welcome to compete. A free clinic will be held on Friday April 10th at 10 a.m. for first time competitors. All contestants will receive gift buckets with coupons, samples and literature from sponsors. Each first time competitor will receive a completion award. Evening meals Friday and Saturday will be potluck with meat provided by ride management. In addition to great awards and door prizes, there will be live entertainment Saturday evening. Camp sites and ride reservations are required and fill up fast. Horses will have their own individual corrals. For more information, go to www.natrc.org or contact Liz Klamm at mailto:[email protected]. To view an introductory video, go to http://www.natrc.org/what_to_expect_Video.htm.